Description: This beautiful craftsman home is essentially one of the largest on the street with 4 bedrooms and 3.5 baths. 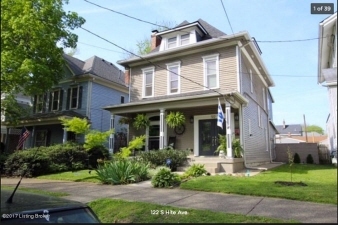 It also boasts original craftsman style dark trim and crown molding with accents such as stained-glass windows throughout. Kitchen is modernized with stainless steel appliances, heated flooring, and lots of light. Bathrooms have all been updated and the master bath has a jacuzzi tub and heated floors. Additions since purchase in 2015 include: a two car garage with attached walkway and privacy fence around the entire back yard. New patio with fire pit. Entire new interior paint. Sump pump added in basement with water proofing throughout.